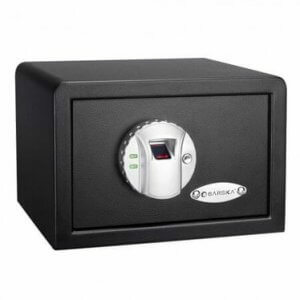 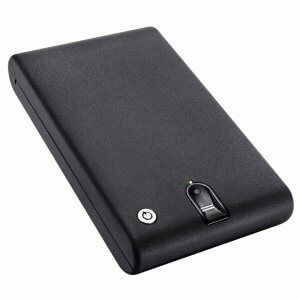 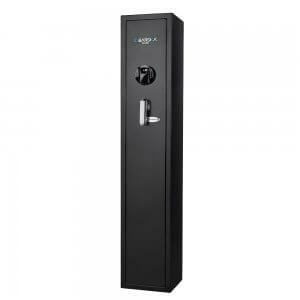 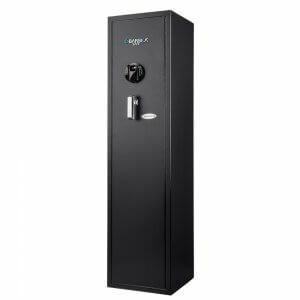 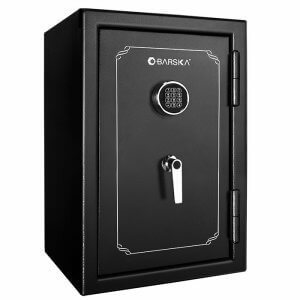 Barska® has the largest selection of quick access fingerprint scanning biometric gun safes. 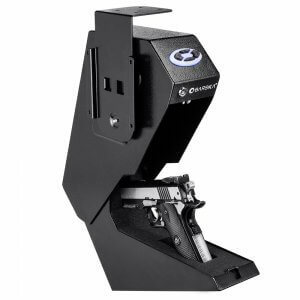 Quick secure and access firearms with the quick scan of a finger. 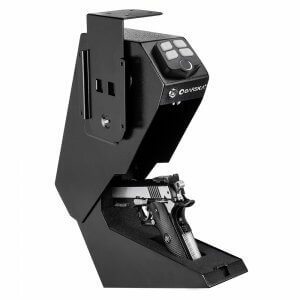 From compact handguns to large hunting rifles we have a security solution. 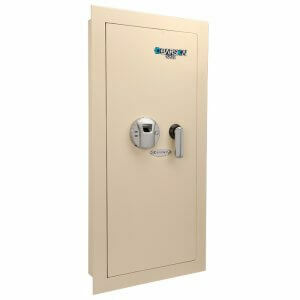 If you own a firearm, you know how important it is to keep it secured and protected. 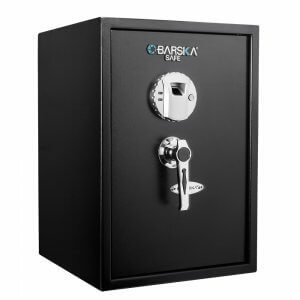 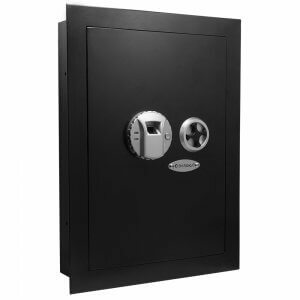 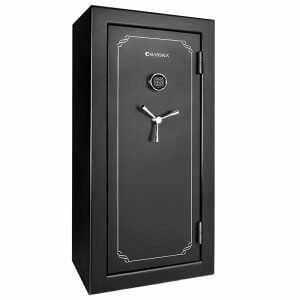 Barska offers a variety of large and small gun safes with different rifle capacities, ranging from the popular Barska Biometric Four Rifle Safe (AX11652) to the large FV-3000 45 Position Fire Vault. 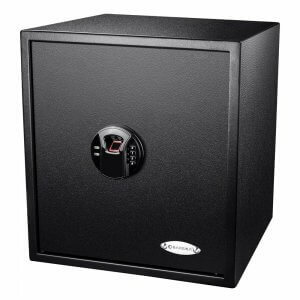 These rifle safes offer top-of-the-line protection and feature some of the latest in secure biometric technology. 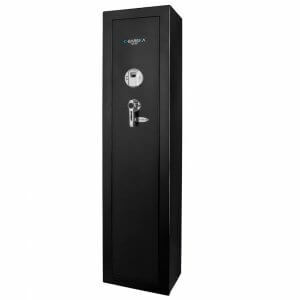 Each biometric rifle safe can be opened with the touch of a finger, allowing the user to quickly access the contents inside within seconds. 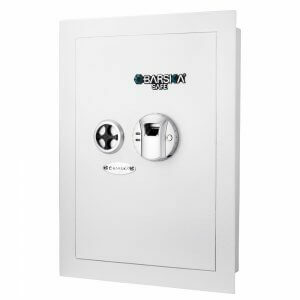 Barska Fire Safe Vaults provide fireproof protection to the firearms and valuables inside. 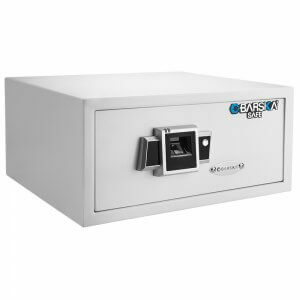 A thick steel construction coupled with flame retardant insulation ensures that the contents within will not get damaged should a fire occur. 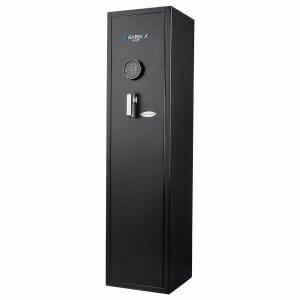 Many households have a firearm in the home for personal and family protection. 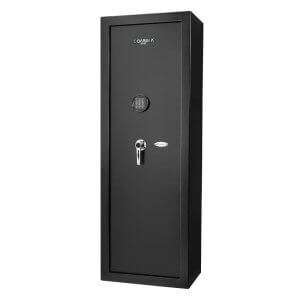 Keeping this firearm secured is a top priority, and if it is needed in an emergency situation it should be readily accessible. 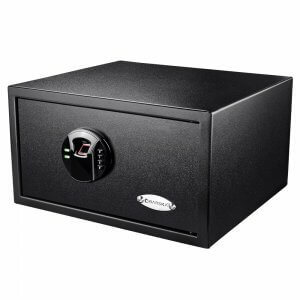 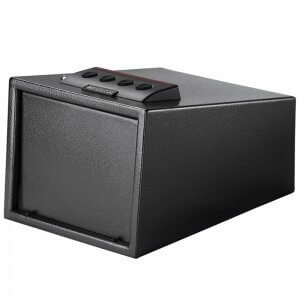 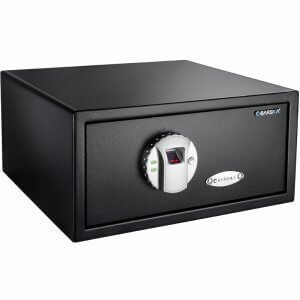 Biometric rifle safes provide the best of both worlds by keeping guns and rifles properly secured while allowing quick access at a moments notice. 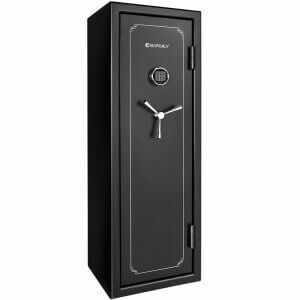 When seconds count, a biometric rifle safe allows the user to quickly access their firearm within seconds with the simple touch of a finger. 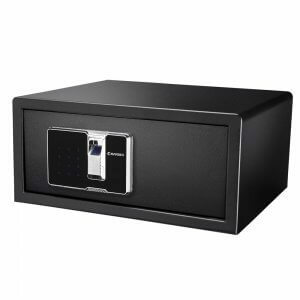 The advanced biometric module on these safes scans the fingerprint and then compares it to registered fingerprints in the database within seconds. 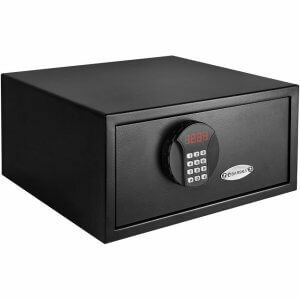 If the fingerprint is recognized, the safe will open and the firearms can be accessed. 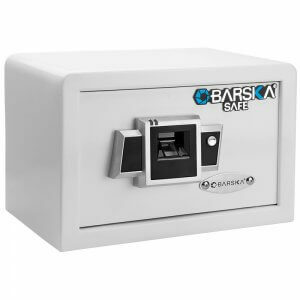 Each Biometric Rifle Safe and Fire Safe Vault available from Barska has gone through extensive testing with the California Department of Justice in order to receive a DOJ approval rating. 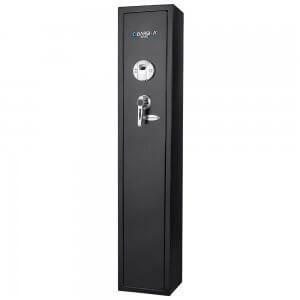 The California DOJ testing procedure is the strictest in the country and qualifies for all 50 state guidelines. 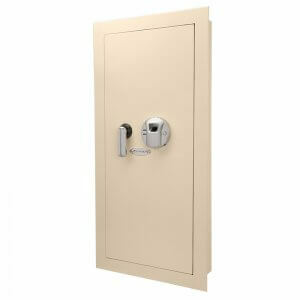 DOJ testing involves multiple tests designed to find weaknesses in a safe's design. 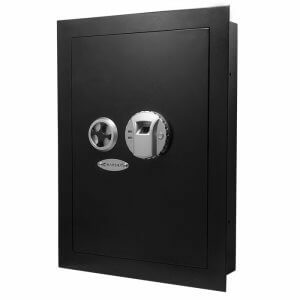 Drop tests, pry tests, and pick tests are conducted to determine if it is possible to break into the safe. 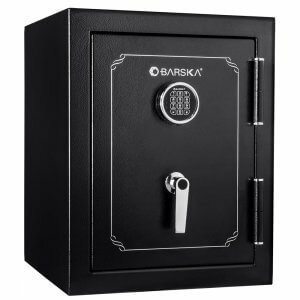 Each Biometric and Fire Safe from Barska have passed these tests to become certified as a DOJ approved firearm storage device.